WARRANTY INFORMATION – Radio Express Inc. 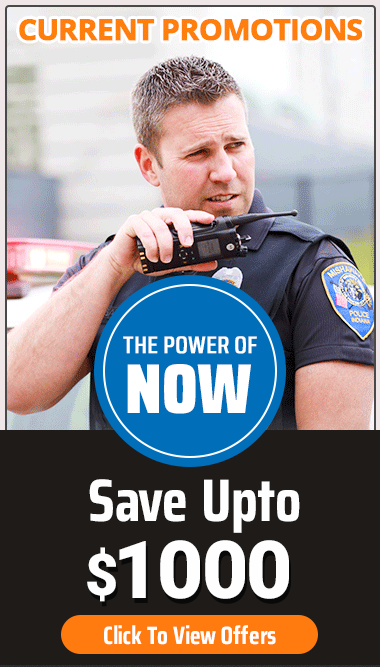 Everyday, you rely on your Motorola MOTOTRBO radios for your critical communications. Now, you can protect these radios against normal wear and tear and more with Service from the Start – one of the most extensive service offerings available. This unique offering comprises fast repair turnaround times, expert telephone technical support and access to the latest software releases; all backed by Motorola’s globally integrated services infrastructure, highly qualified support technicians and certified repair facilities. You’ll get multi-year technical support and repair coverage, providing the investment protection you need to reduce your total cost of ownership. MOTOTRBO radios are built to perform well in rugged environments and extreme situations. Nevertheless, Motorola recognizes that accidents happen. That’s why Motorola also offers Service from the Start with Comprehensive Coverage which, in addition to normal wear and tear, provides protection against accidental breakage so you can enjoy enhanced peace of mind. Broken display? No problem. Cracked housing? No problem. Damaged keypad? No problem. With Service from the Start, you can rest assured that technical support queries are dealt with promptly to ensure minimal downtime is incurred. Motorola’s technical experts work with your Motorola partner, as required, to isolate, diagnose and resolve hardware and software issues. We can initiate a repair request quickly and easily on your behalf. Once in the service center, your radio will be handled by one of Motorola’s certified repair technicians. State-of-the-art diagnostics equipment, repair tools, and an extensive inventory of replacement parts help Motorola to provide expert repair on your MOTOTRBO radios. In addition, Motorola service centers are fully certified to comply with ISO standards using proven, repeatable processes to help ensure your repair is completed right the first time and every time. With Service from the Start, we provide faster turnaround time to keep your devices operating at peak capacity. You benefit from priority repairs with turnaround times ranging from same day up to 5 days depending on the service package you select. This will ensure devices are back in your hands quickly, minimizing downtime and enhancing productivity. MOTOROLA, at its option, will at no charge either repair or replace this Product during the warranty period provided it is returned in accordance with the terms of this warranty to the place of purchase. Repair, at MOTOROLA’s option, may include the replacement of parts or boards with functionally equivalent reconditioned or new parts or boards. Replaced parts or boards are warranted for the balance of the original applicable warranty period. All replaced parts or Product shall become the property of MOTOROLA. A Product subjected to unauthorized Product modifications, disassemblies, or repairs (including, without limitation, the addition to the Product of non‐MOTOROLA supplied equipment) which adversely affect performance of the Product or interfere with MOTOROLA’s normal warranty inspection and testing of the Product to verify any warranty claim. A Product which, due to illegal or unauthorized alteration of the software/firmware in the Product, does not function in accordance with MOTOROLA’s published specifications or the FCC type acceptance labeling in effect for the Product at the time the Product was initially distributed from MOTOROLA.